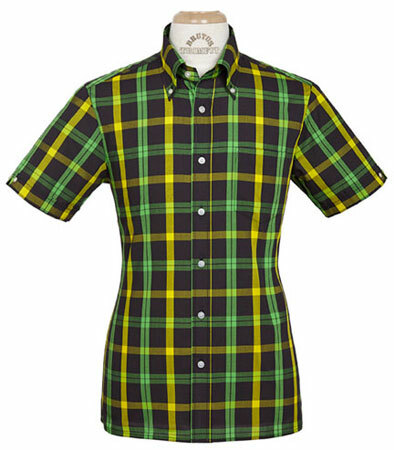 If the colours look familiar, then the penny might drop when we tell you that is the Brutus Trimfit special edition Jamaican Shirt. It’s a special edition to coincide with the Return of the Rudeboy exhibition at Somerset House, which you can find out about here. The shirt will launch in the final week of the show (22nd August specifically), but will be available to pre-order online at the end of this week (15th August), with orders shipping on that 22nd August date. 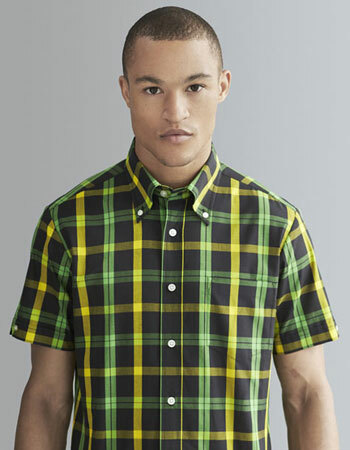 As for the shirt, you probably worked out that it uses the colours of the Jamaican flag for this particular check, but keeps all the other details you should expect – short sleeves, darted fit, button-down collar and so on. The shirt will be offered in sizes for both men and women and is likely to sell at the usual £50 price point. Check out the Brutus Trimfit site to pre-order on Friday.